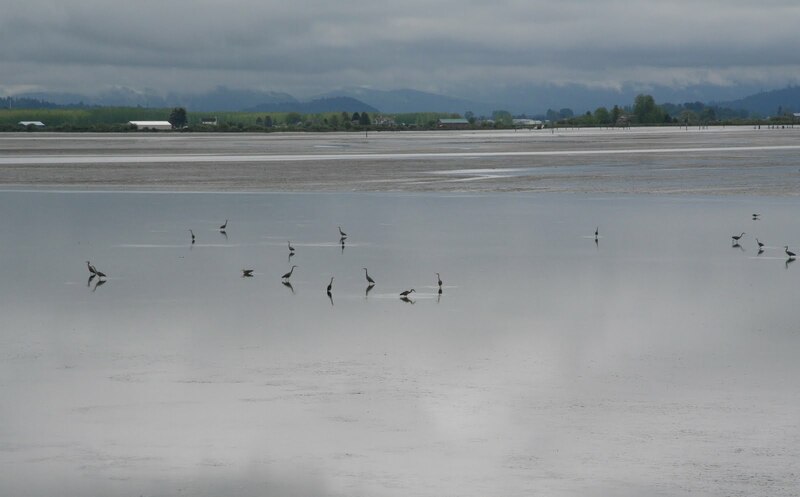 the photo above was taken on may 1st - it was low tide on alice bay and the resident great blue herons have come to see what treats await as the waters retreat. I'm still a bit discombobulated in terms of reconnecting with the cyberworld. everything in due time. I missed yet another sepia saturday. I had a quilt to finish which I wanted to deliver this weekend. it may be a while before I get back to the cyber routine, as for now there are all sorts of project deadlines to meet and work to do and life to live before the next wander comes around. oh, it is going to be one incredibly busy spring and summer! a few of my cyberbuds regularly celebrate what they call musical monday (however, I noticed tut-tut recently went from musical monday to 'tune tuesday') - since I routinely match a song to the day's post I've never felt the need to label any post as 'musical monday' post, however, since today is the birthday of erik satie, the creator of what I consider some of the most moving compositions ever written, the gymnopédies, I thought I'd label today's post as musical monday - and I don't really think the titles of satie's compositions make for very good post titles! the following piece (#1) feels perfect for this gray, cool day here on the north coast. contrary to what one may expect, such a day and such music has a very comforting effect on me. It's actually a nice day here; the rain comes tomorrow and Wednesday. Unfortunately I have errands, too, so the good day is going to waste. Oh well... Heh, heh! One of the great things about this cyberwhatsit we inhabit is that there are no deadlines that can't be broken and no routines that can't be changed. Sepia Saturday will be there waiting for you when you have time. I always think that blogging is a bit like grout : it fills the gaps in a most delightful way. I love the video, the rain, the images. Thank you. Beautiful, thoroughly enjoyed that very suitable. Our weather here in Spain has been beautiful at last after a miserable winter. love love love Erik Satie. I'm reading a number of posts from regular bloggers who are out of ideas and/or time; I have felt the same of late, as tho' I'm forcing it. Love Satie--we used to play those pieces with the Alice in Wonder Band--clarinet, tenor uke & electric bass! I've been feeling quite discyberbobulated myself--maybe it's the spring weather. Lovely photo and vision! And would you believe I have been using that song as background music for a lot of our visualtours of our listings for years? I love it too. Grey skies down under for the rest of this week too. Hopefully I can spend the weekend relaxing on the couch! I'm in need of some downtime! Oh I love Alan's comment. Thanks for the music Kim, I had never heard of this! It was so calming to listen to Satie and watch the video. Thanks for the sweet interlude. (And I missed Sepia Saturday too).